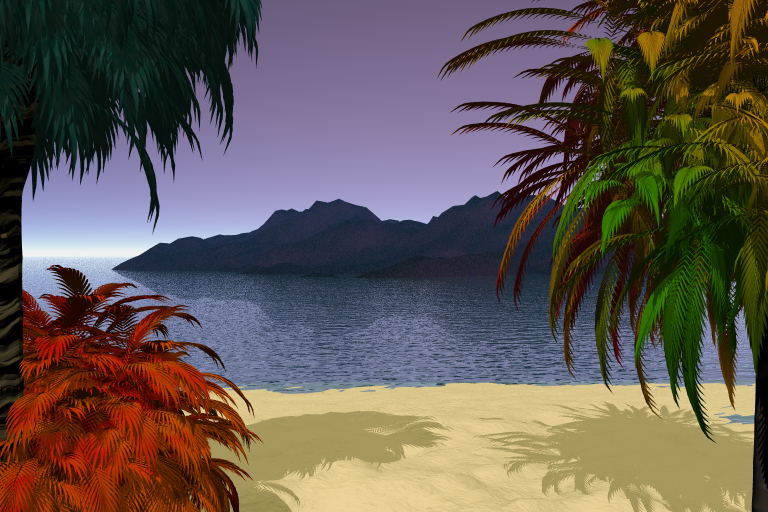 We here in PA are supposed to get some really horrible cold weather here soon, so I decided to post my 3-D Caribbean beach scene that I made in Bryce 5. I was cutting my teeth with Bryce when I made this, so it’s not the greatest, but it somewhat reminiscent of a postcard, and I can see myself sitting on the beach with a drink in my hand. I more so a warm weather person than I am for cold. At least the one good thing about cold snaps is that it kills bug eggs, like mosquitoes, but I’m getting off the subject now.